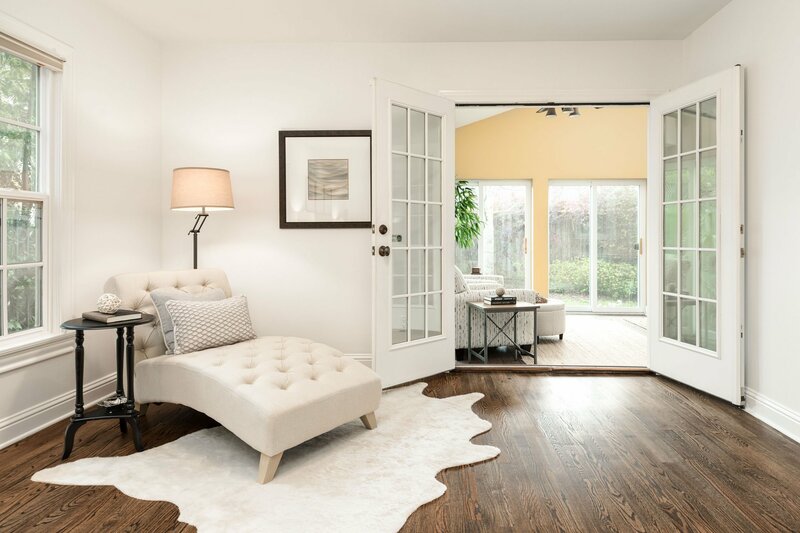 When looking for a stager for your home, you will want to know about the style and quality of the furnishings and décor that will be used. 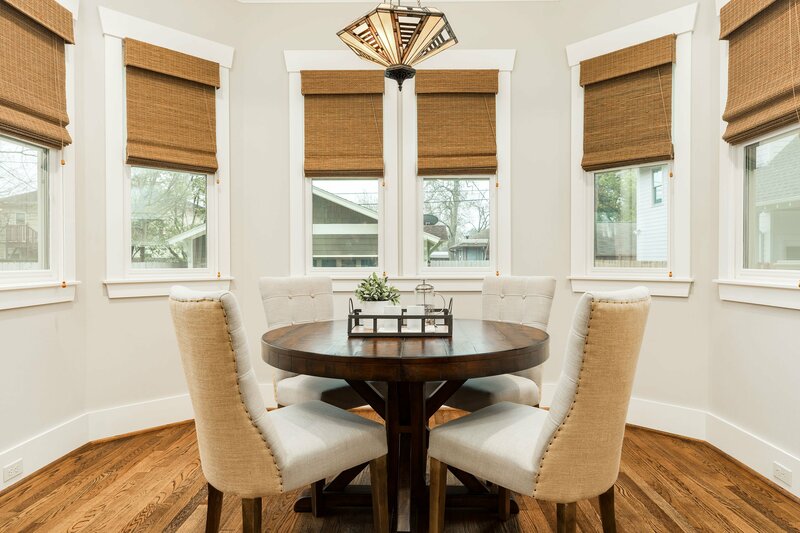 These are some actual photos from our completed home staging projects throughout the Houston area. 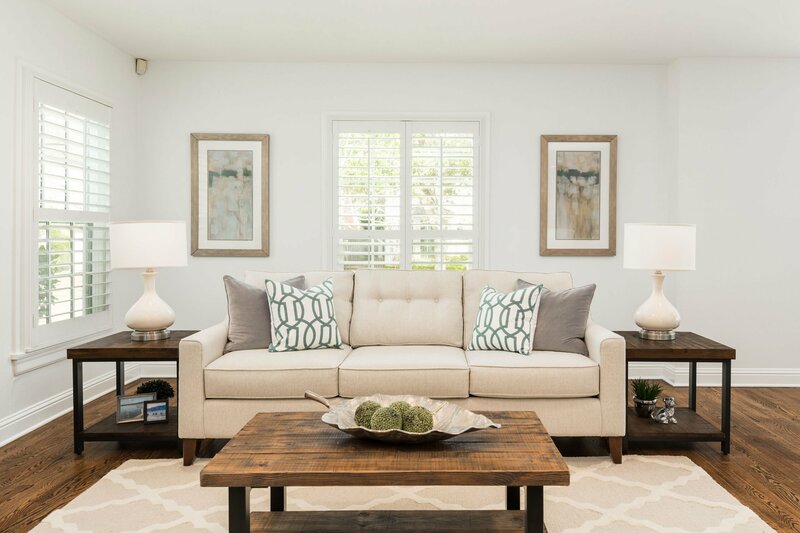 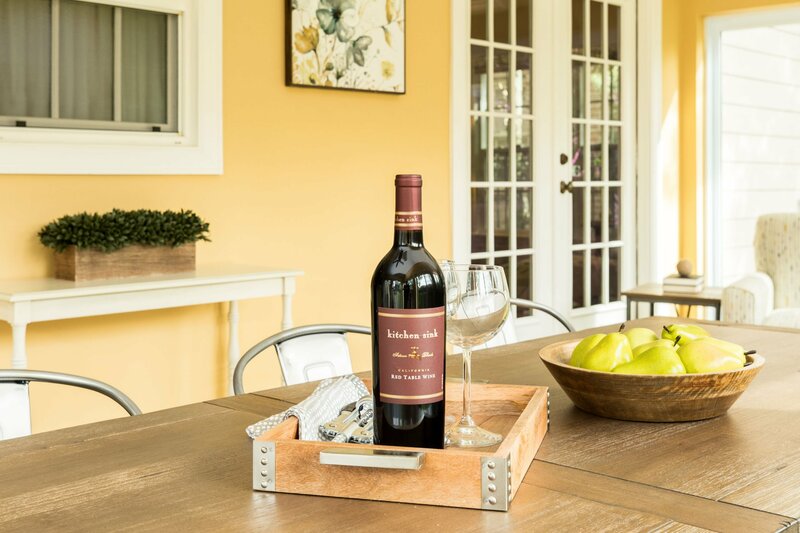 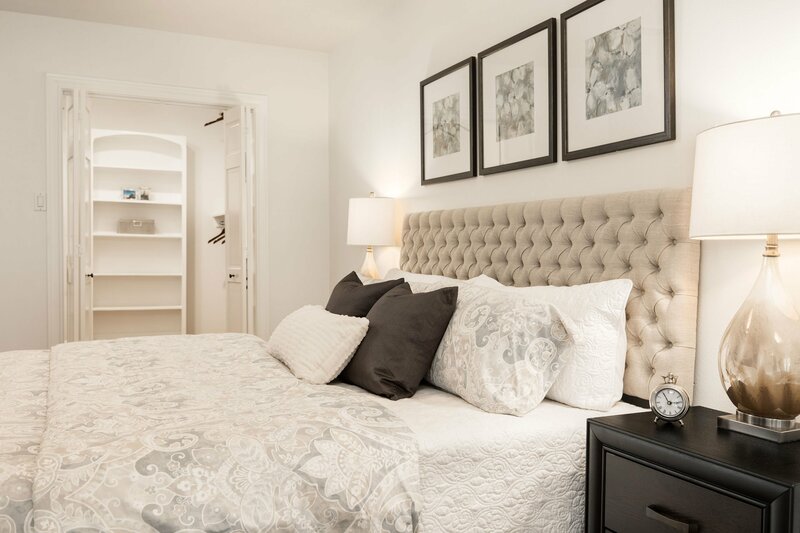 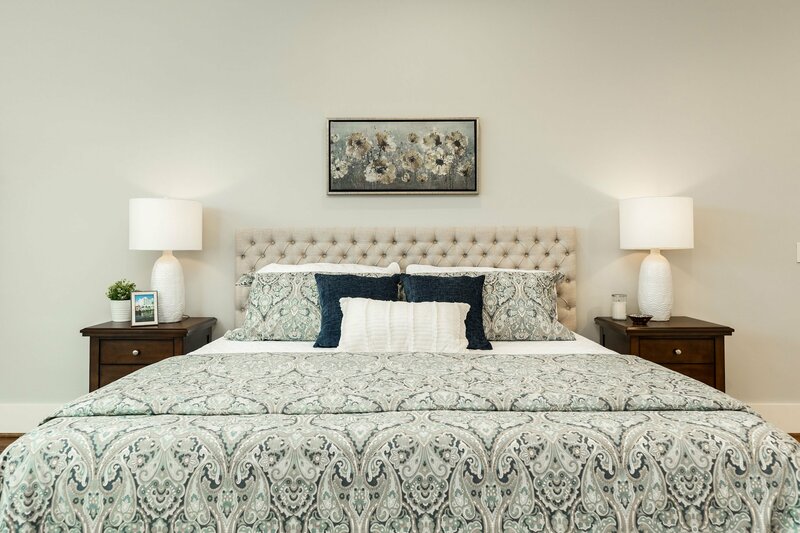 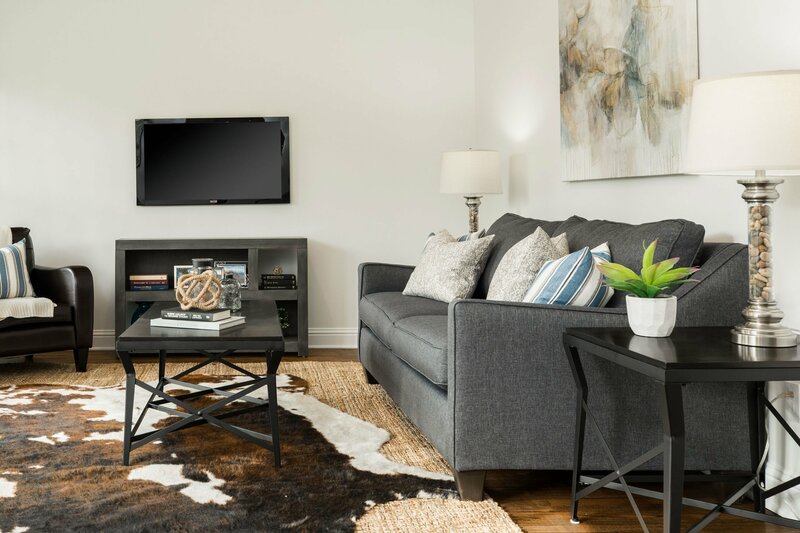 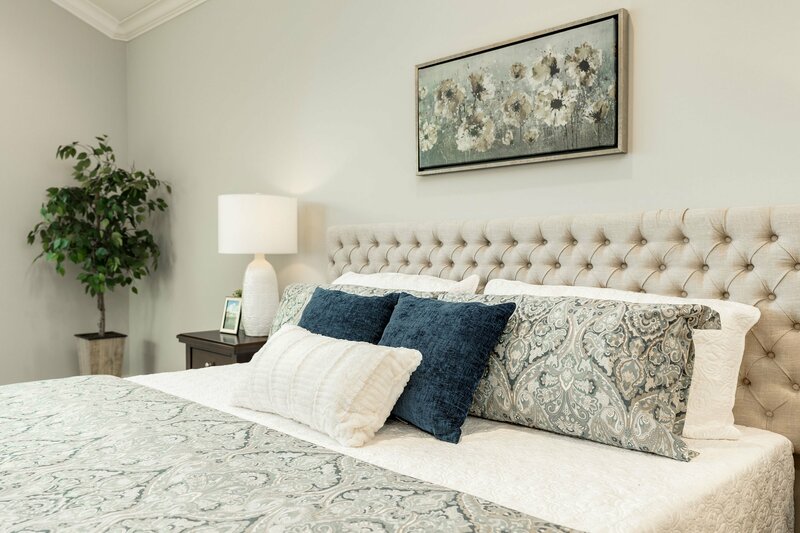 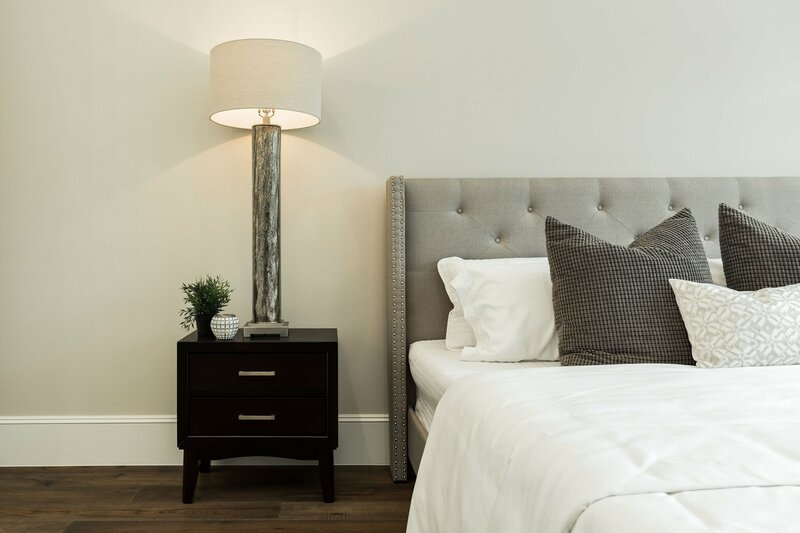 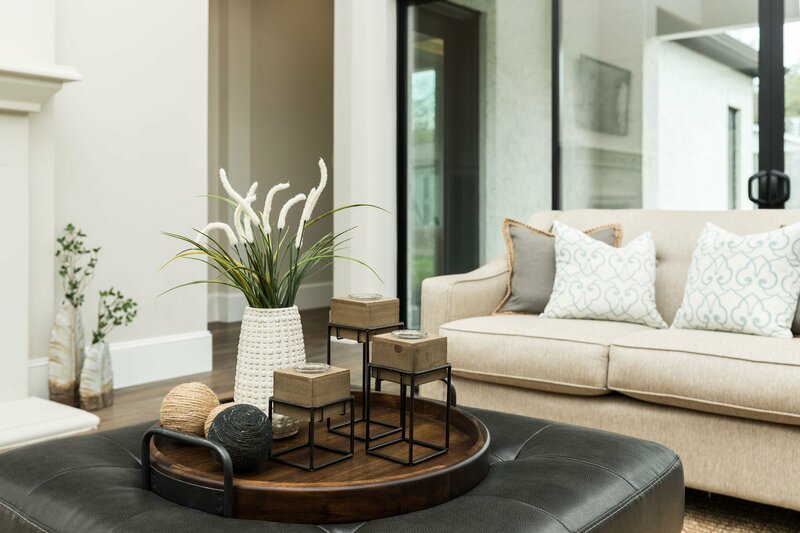 Enjoy browsing through the photos to see our staging styles and quality of furnishings, décor, and artwork. 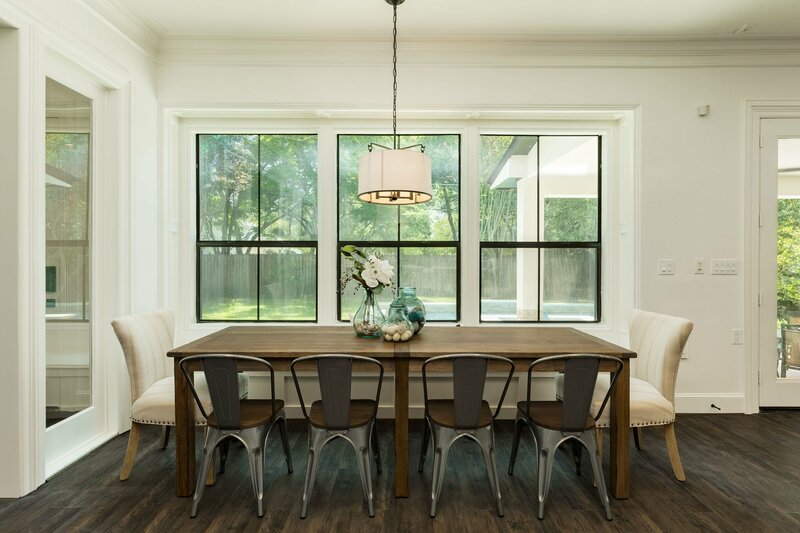 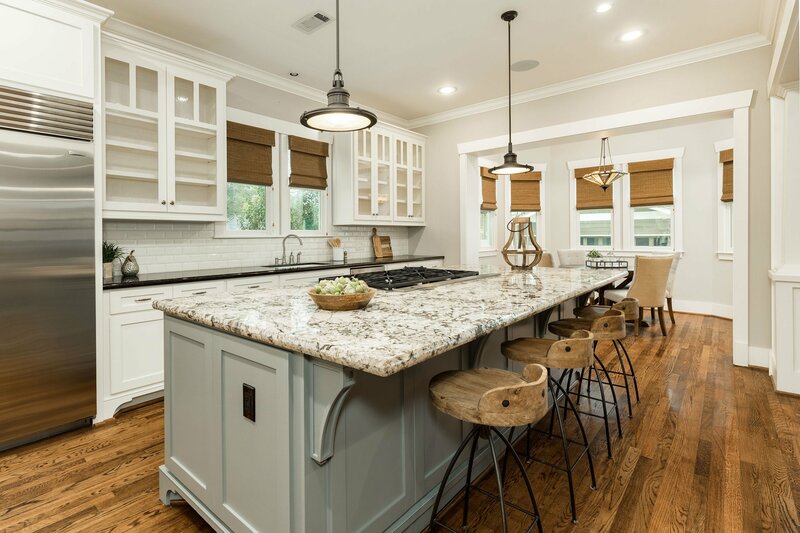 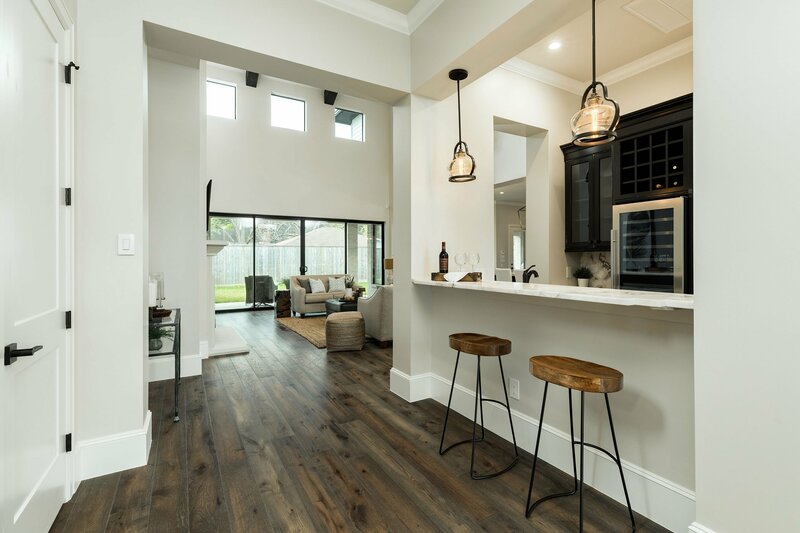 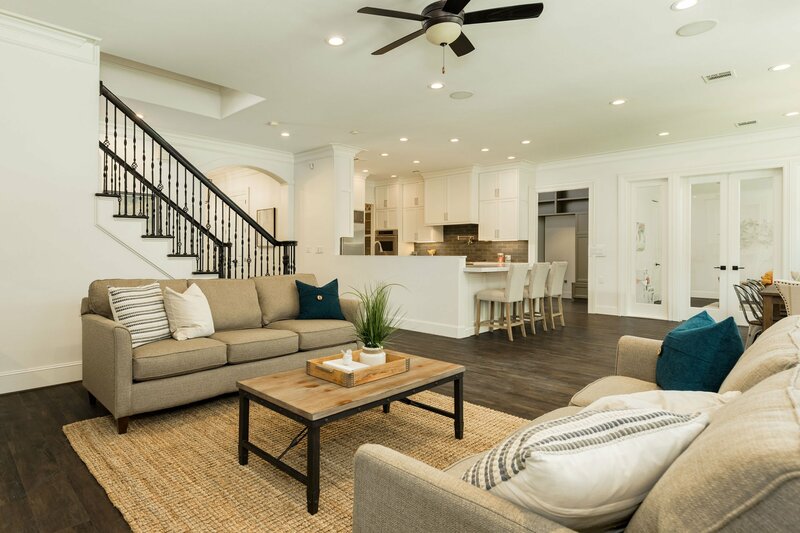 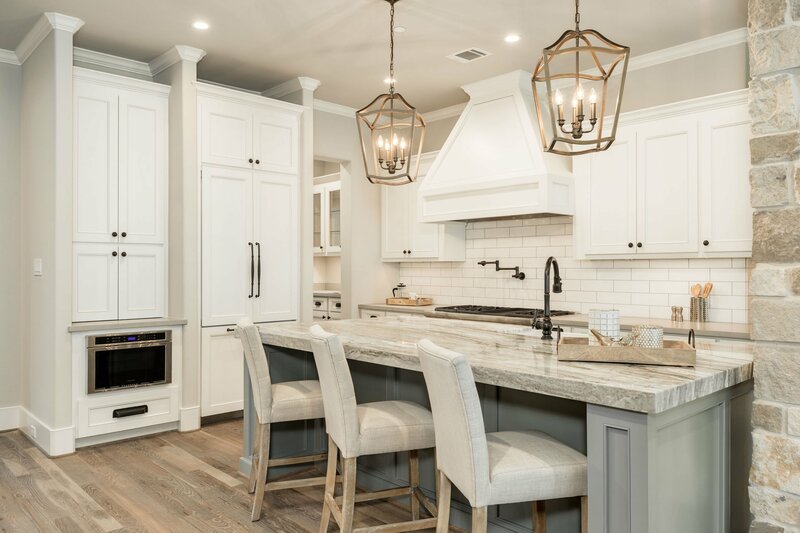 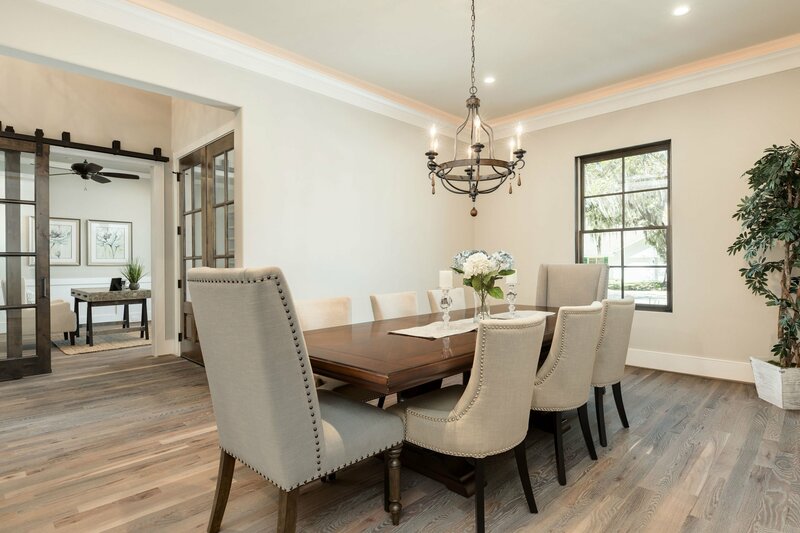 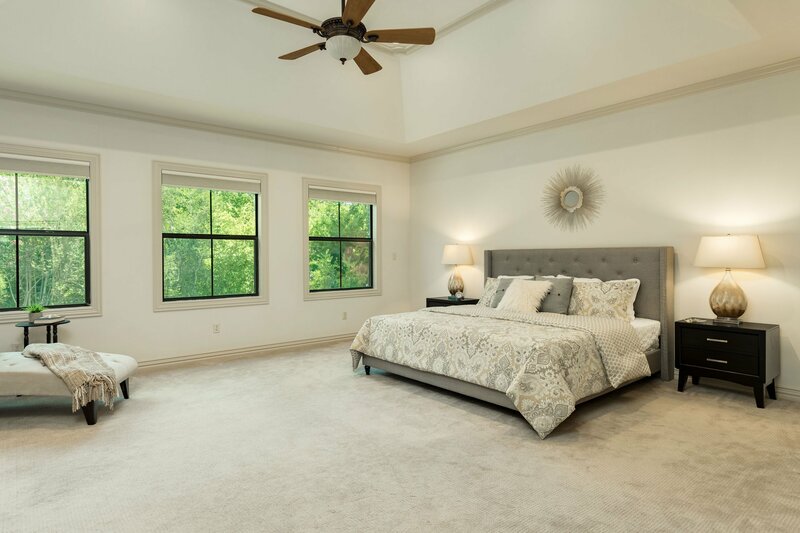 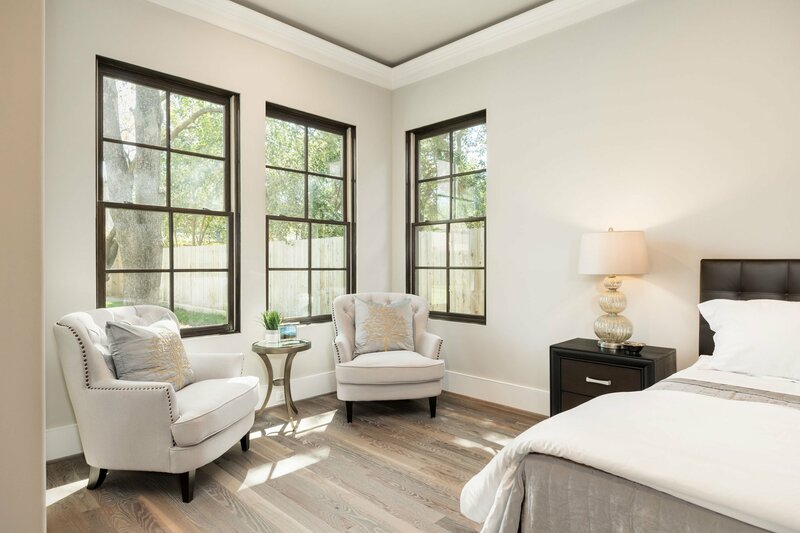 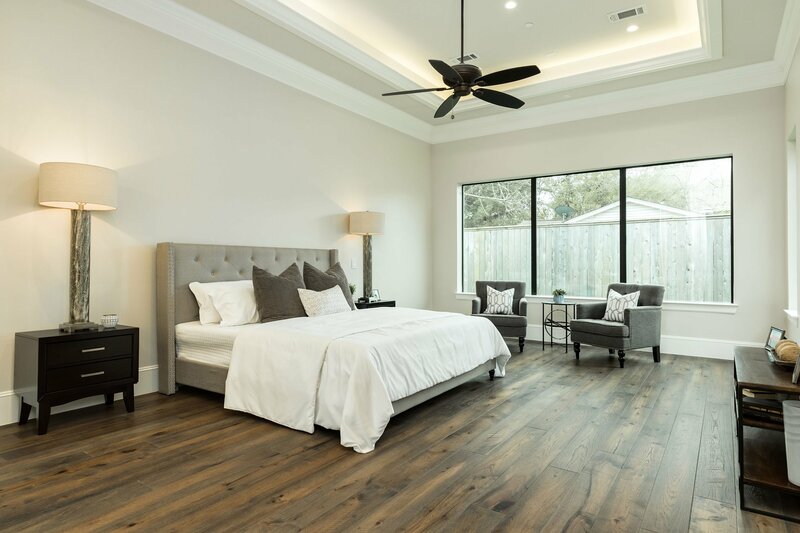 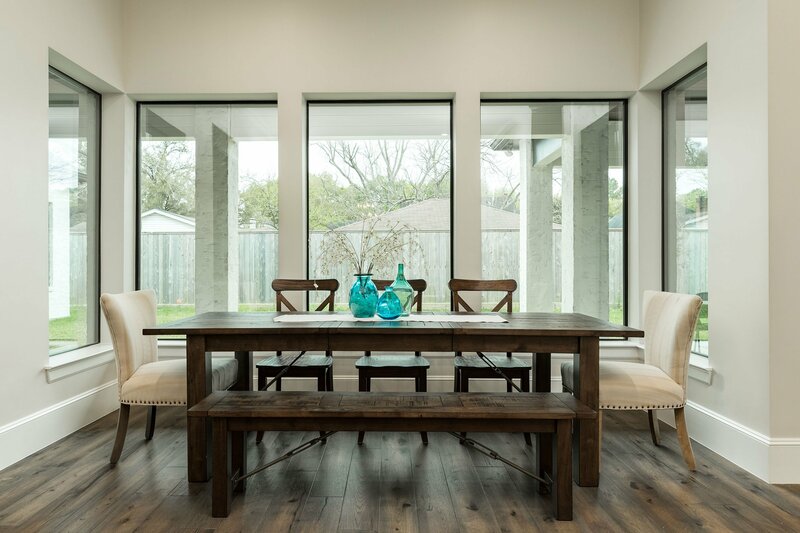 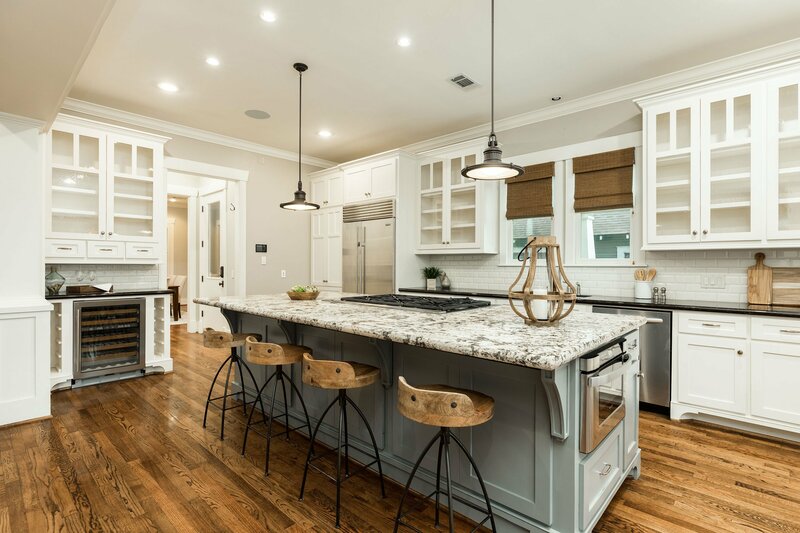 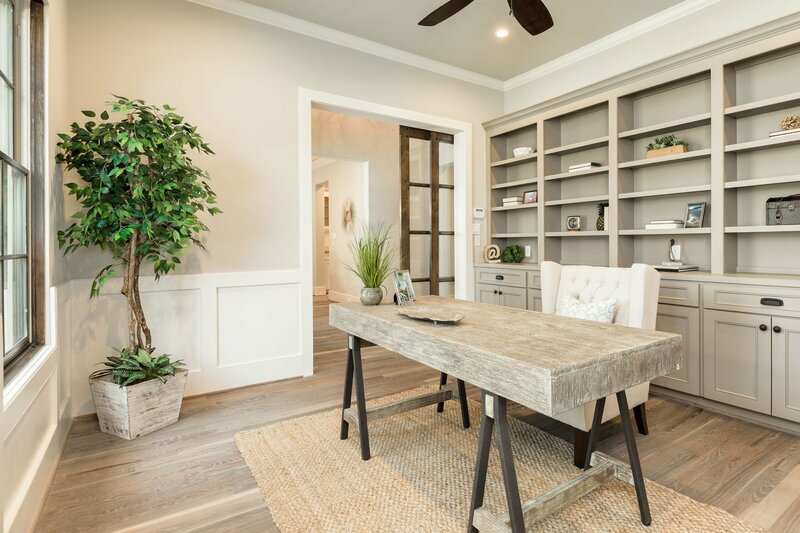 We staged this beautifully remodeled home in Houston, TX back in 2017. 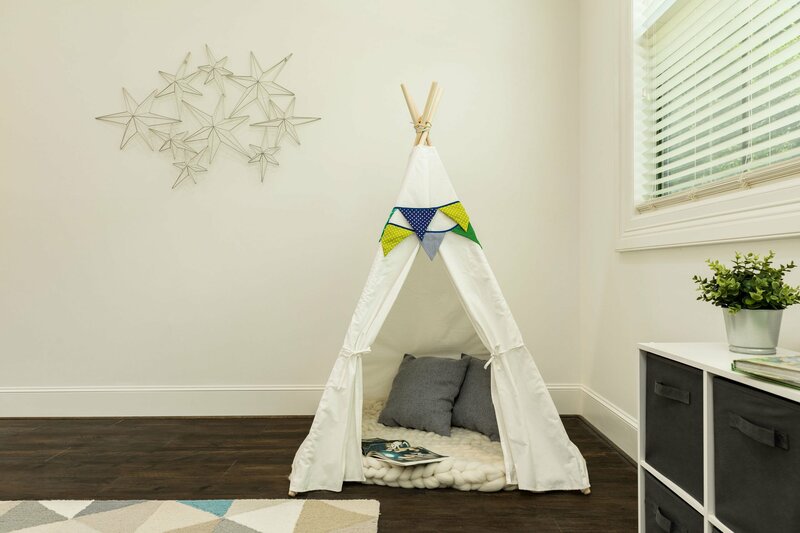 It’s still one of our favorites. 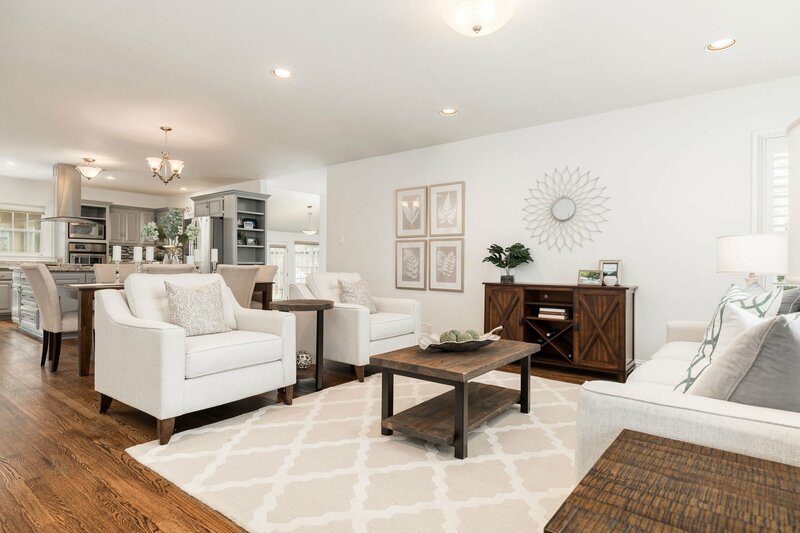 The home is quite small, but the way the sellers opened the space during their remodel allowed us to create a sizable living area and dining room, as well as a family room off the back of the kitchen. 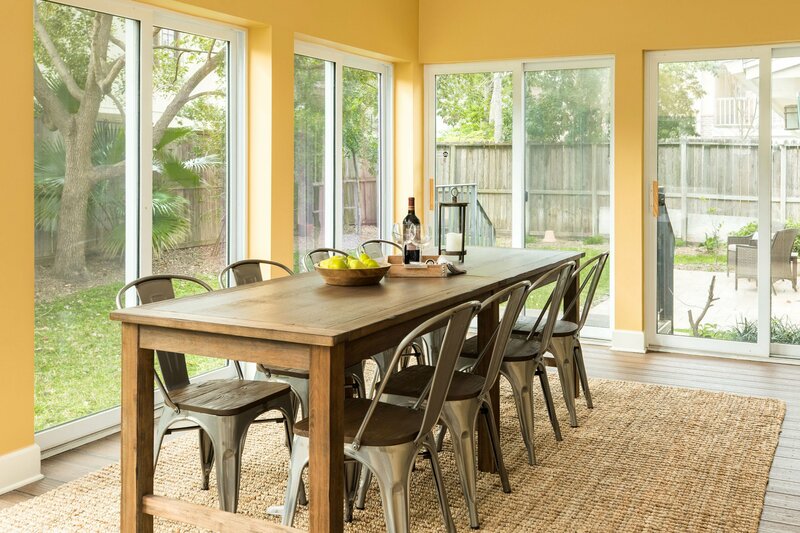 There is also a beautifully enclosed sunroom that provided a beautiful informal dining space that would seat 8 to 10 people. 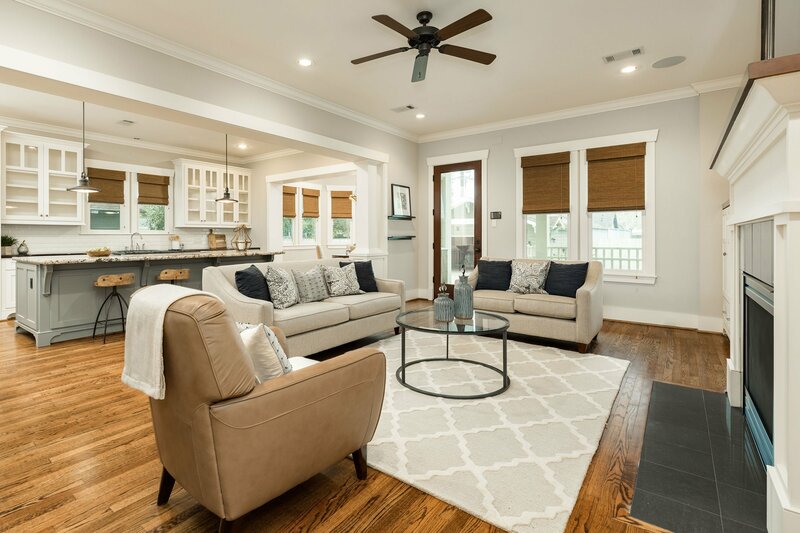 And although we were not able to have the sunroom repainted with a more neutral color prior to staging it, by adding the right furniture pieces and showing the usability of the space, the room still staged beautifully. 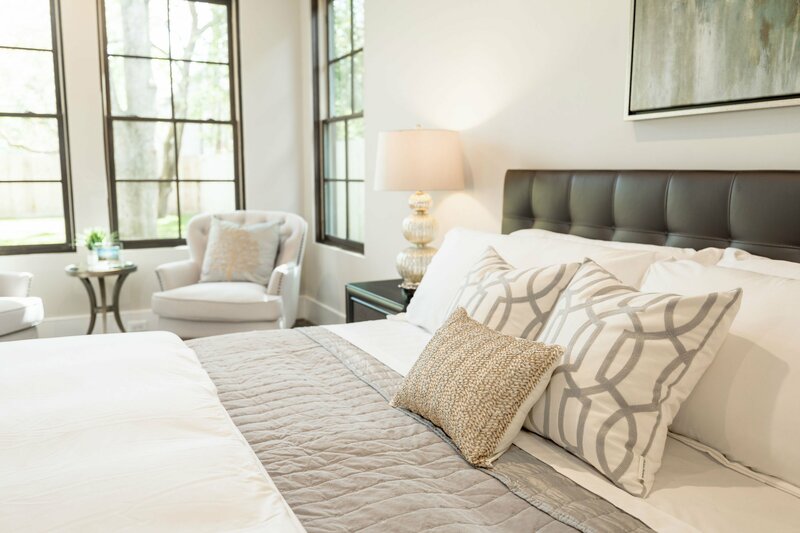 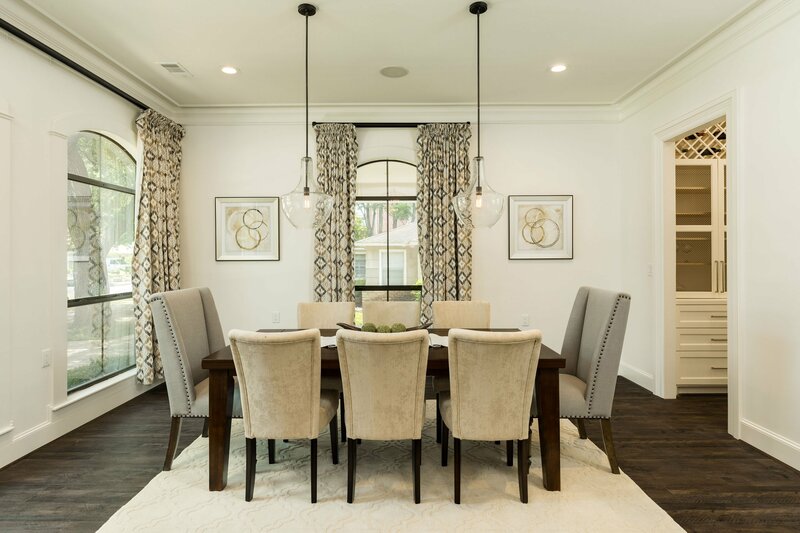 This is one of two homes we have staged for one of Houston’s top Homebuilder’s, Gulledge & Company. 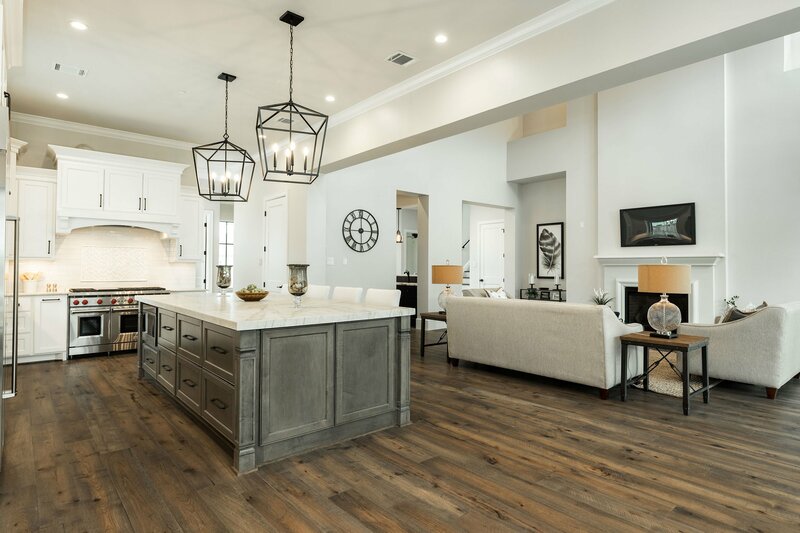 They have been building quality homes in the Houston area for over 10 years and have an amazing reputation. 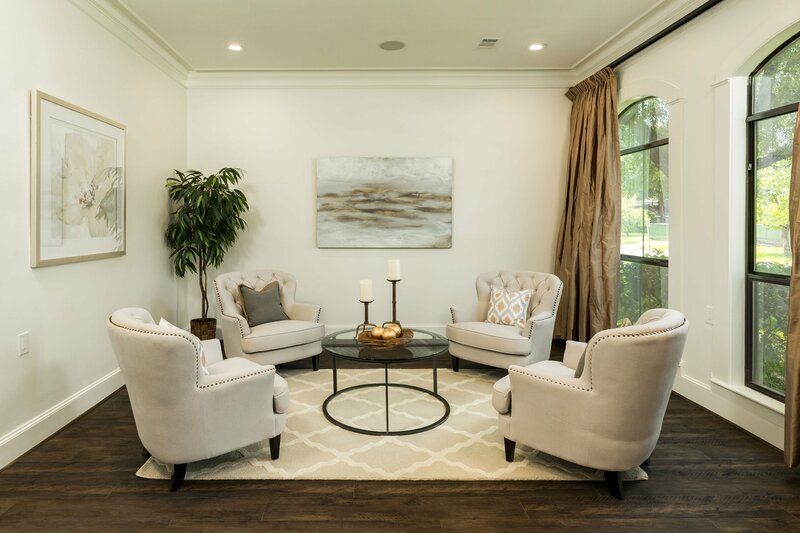 It is always a privilege to stage one of their masterpieces. 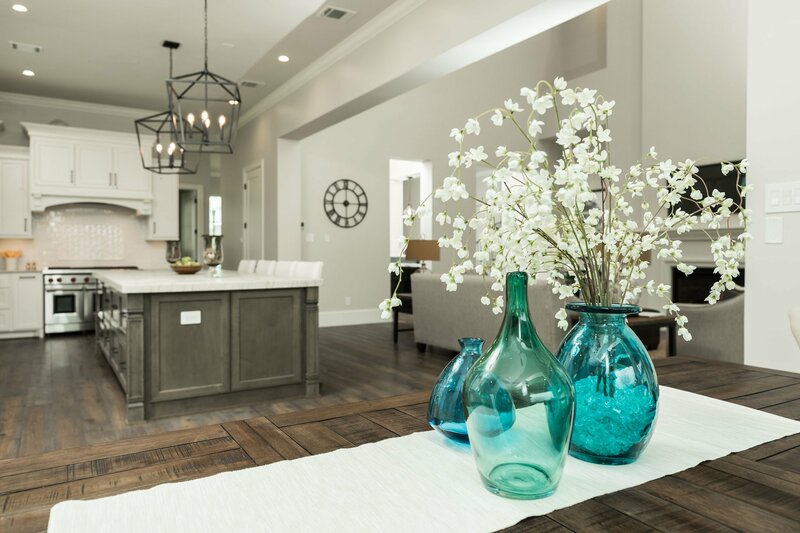 The finishes and the details are amazing! 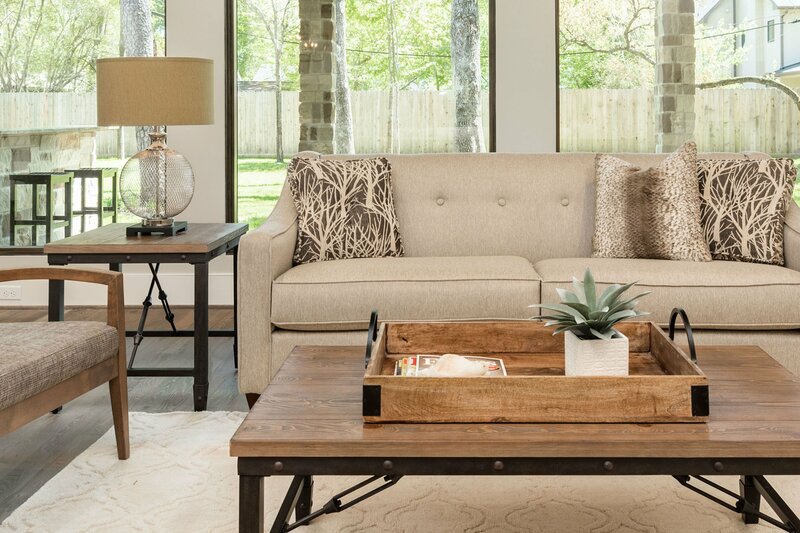 To stage the home, we brought in high-end furnishings with a casual, relaxed style. 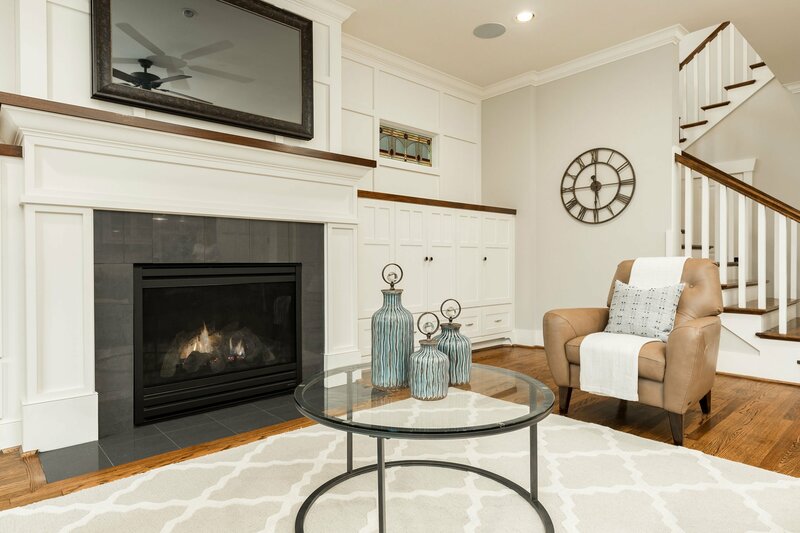 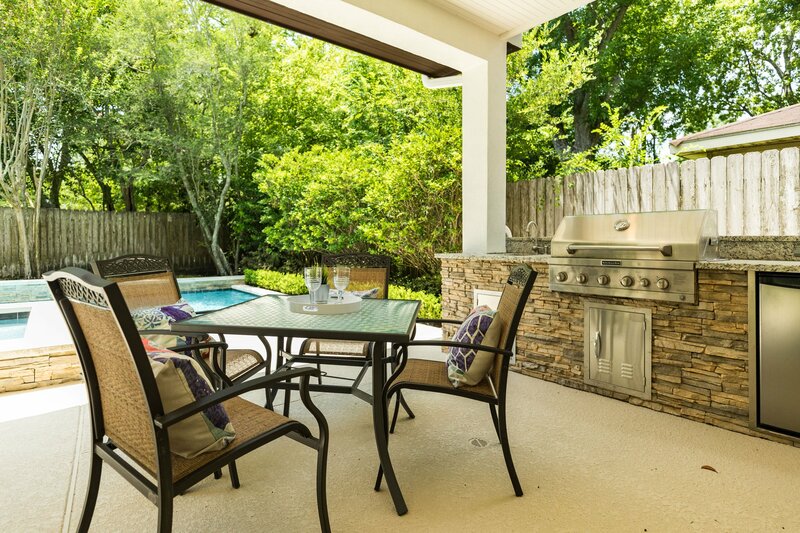 This home was made for a family and we wanted to showcase all those great features. 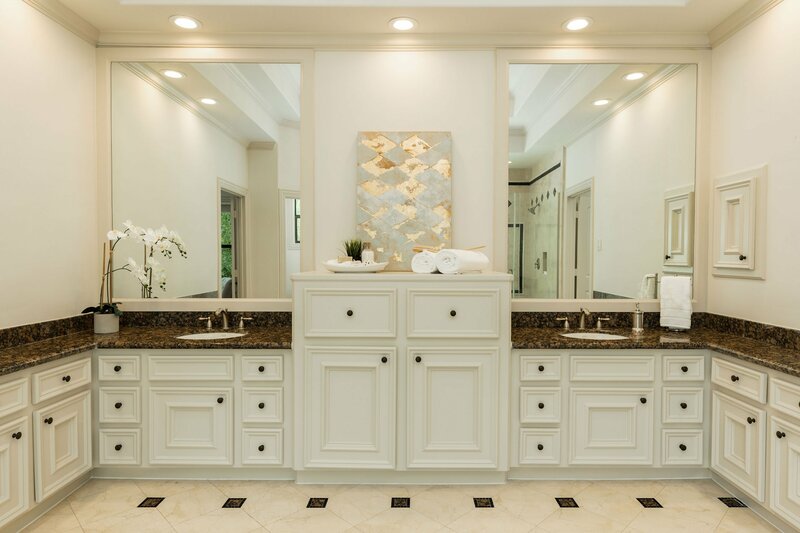 This home was a joy to stage. 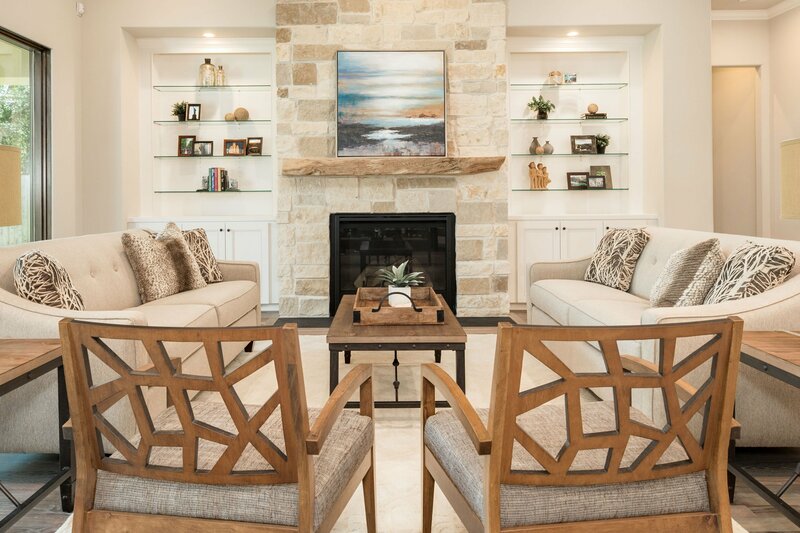 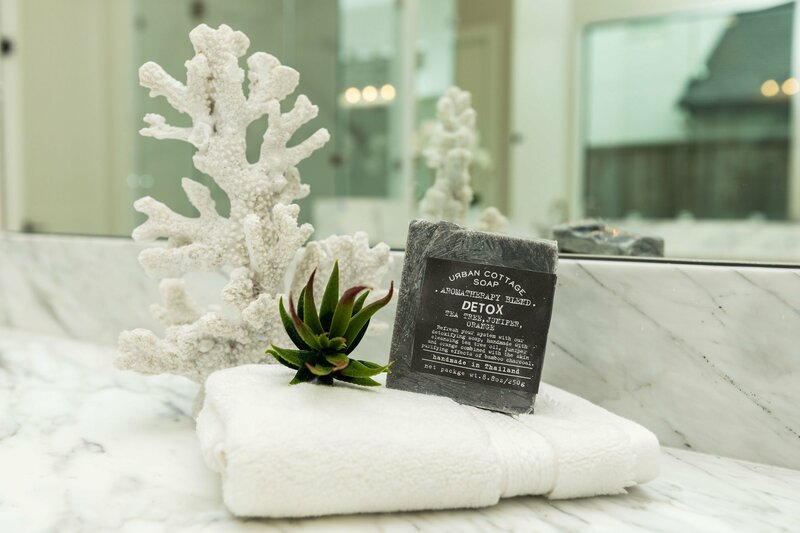 The sellers were perfectionists (much like us) and every detail of the home was perfect. 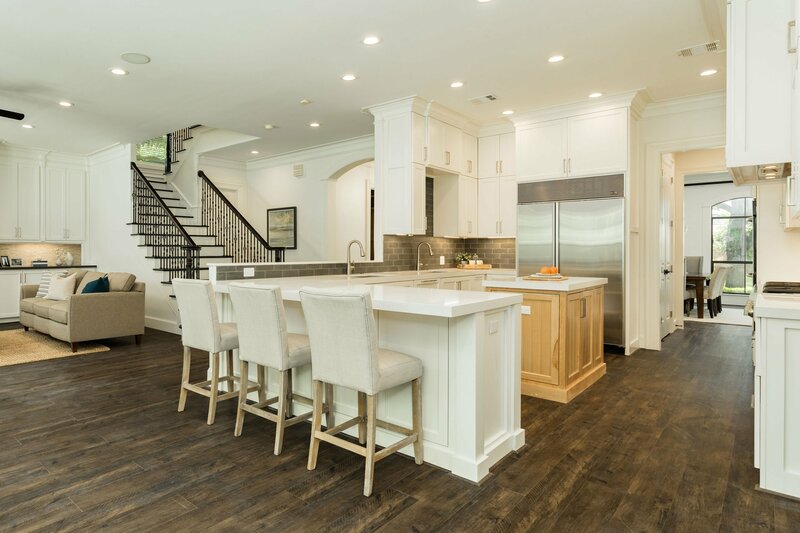 The home was built in 2011, but eight years later, it still looked and felt like a brand-new home. 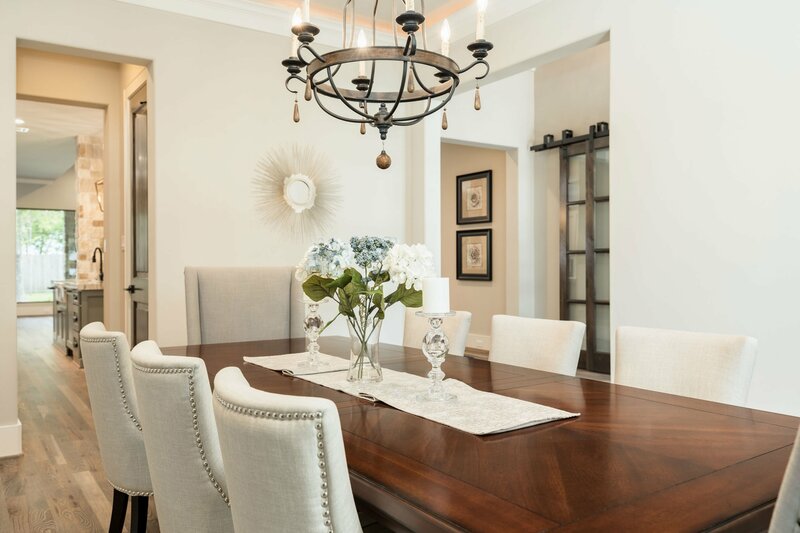 Our challenge in this home was not to overstage it. 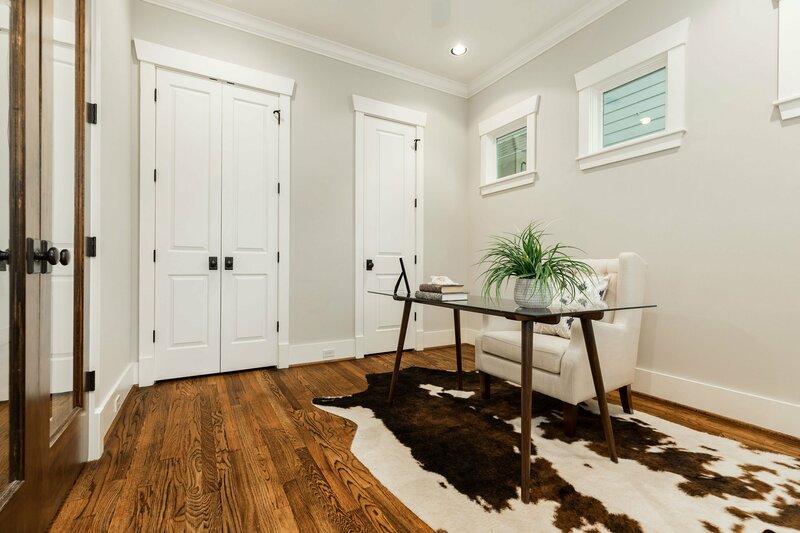 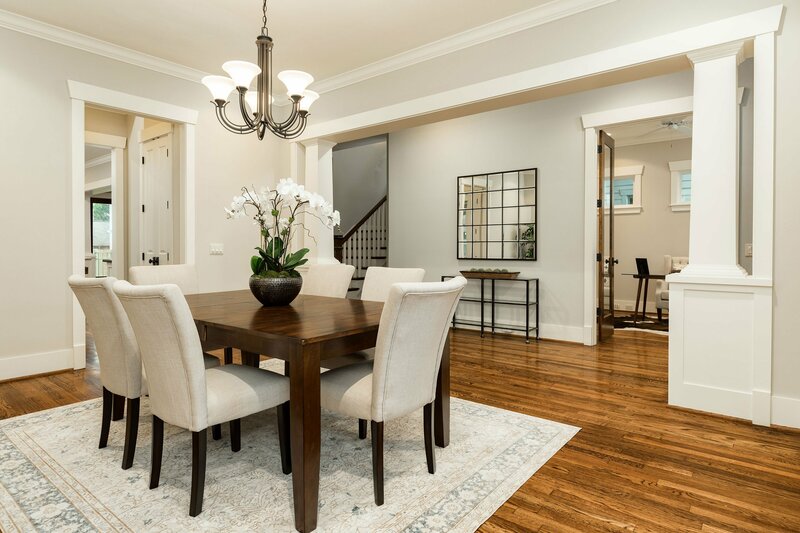 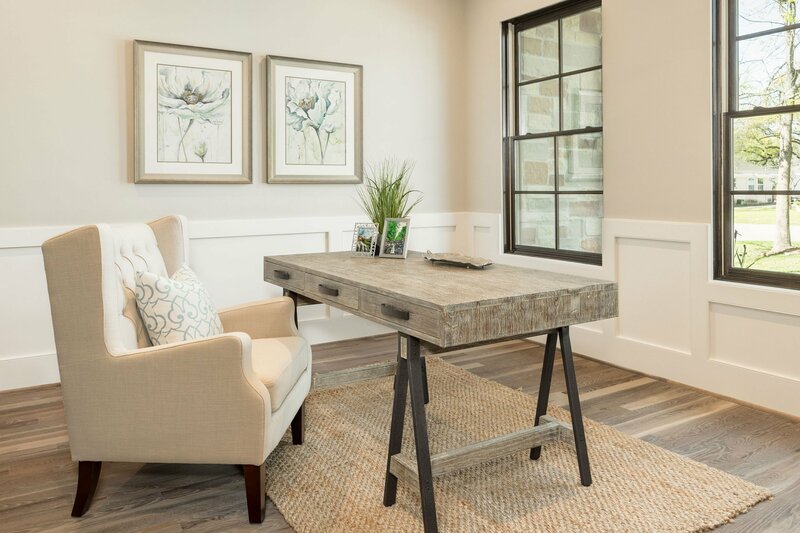 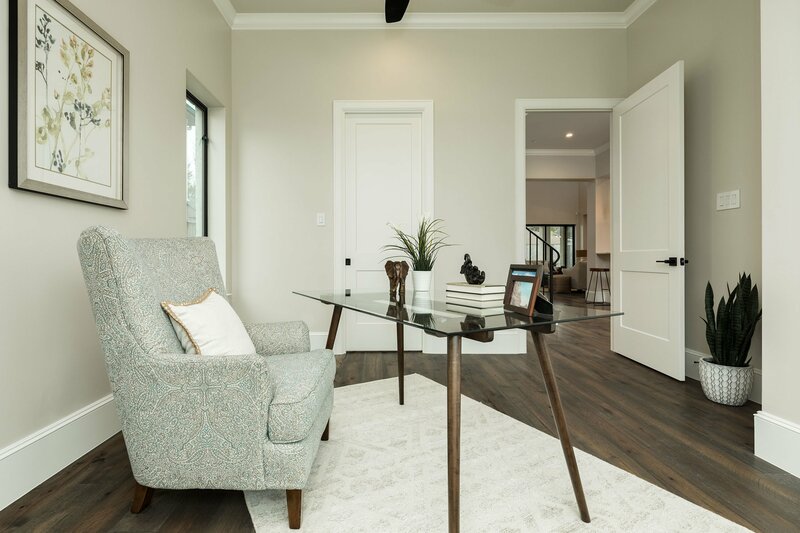 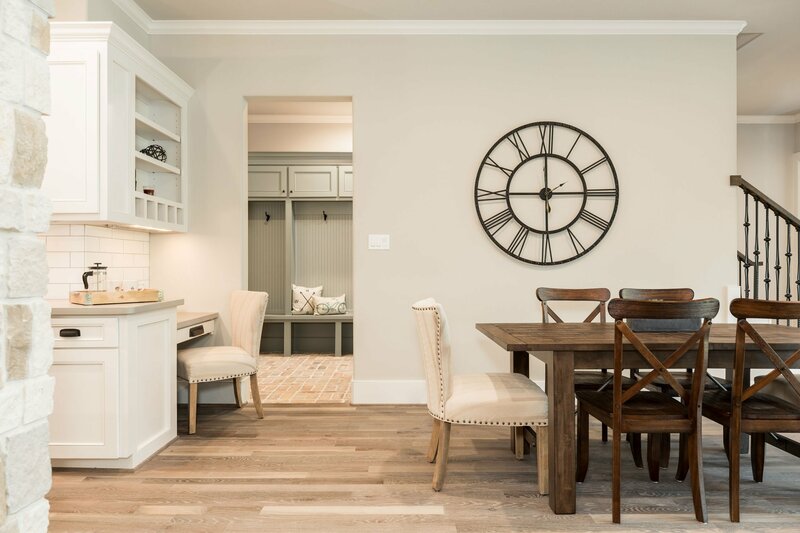 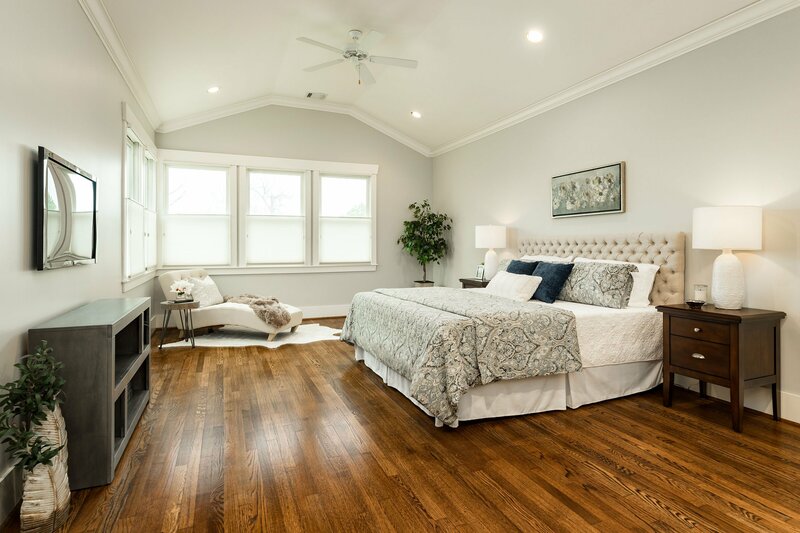 We wanted to highlight the beautiful craftsman details, while at the same time knew it was important to show potential buyers that it would not have to be furnished with craftsman style furniture in order to be beautiful. 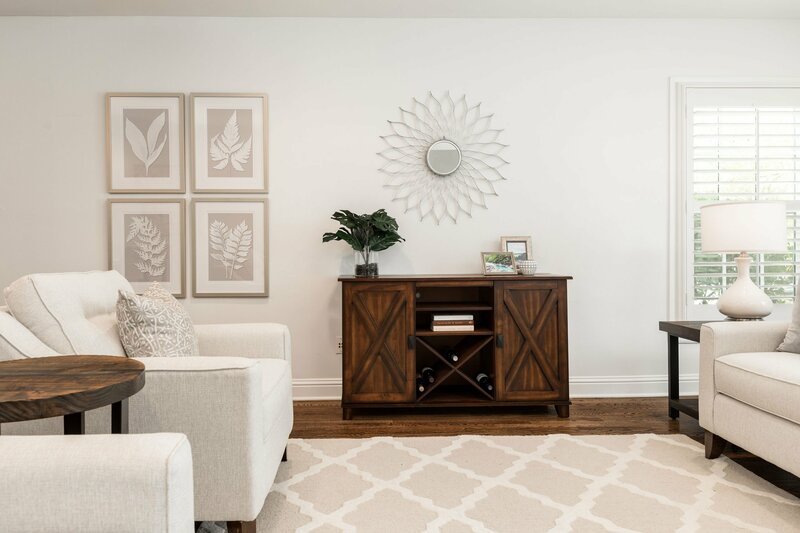 We needed to show the versatility of the space and how blending different styles of furniture would work beautifully in this traditional space. 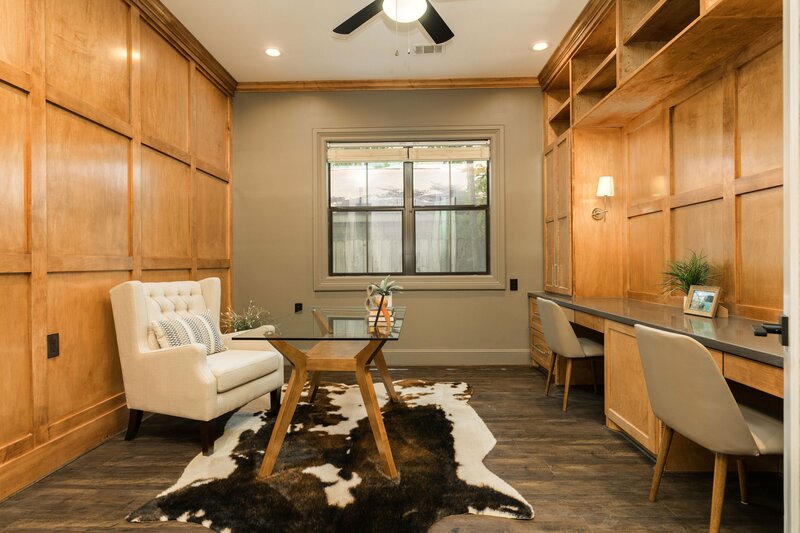 We brought in a perfect blend of mid-century modern, industrial, transitional, and even a touch of farmhouse to create an atmosphere that buyers would love. 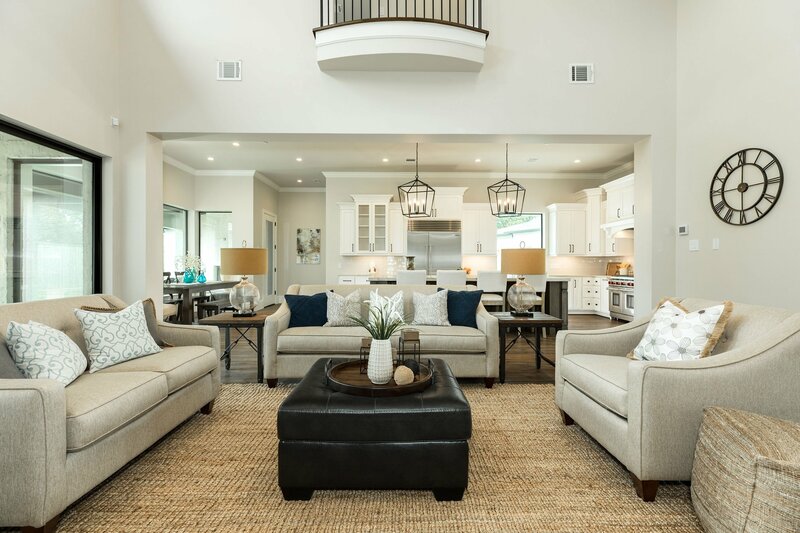 This was the first home we staged for Gulledge Builders. 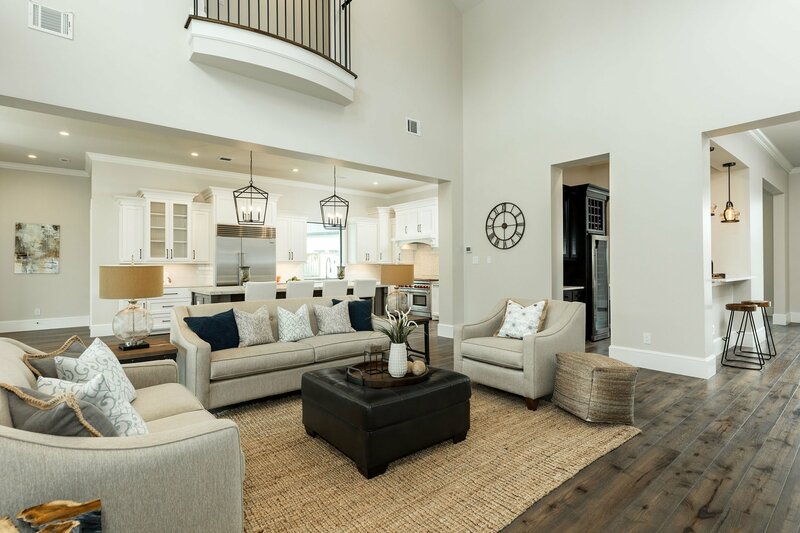 We fell in love with everything about this home. 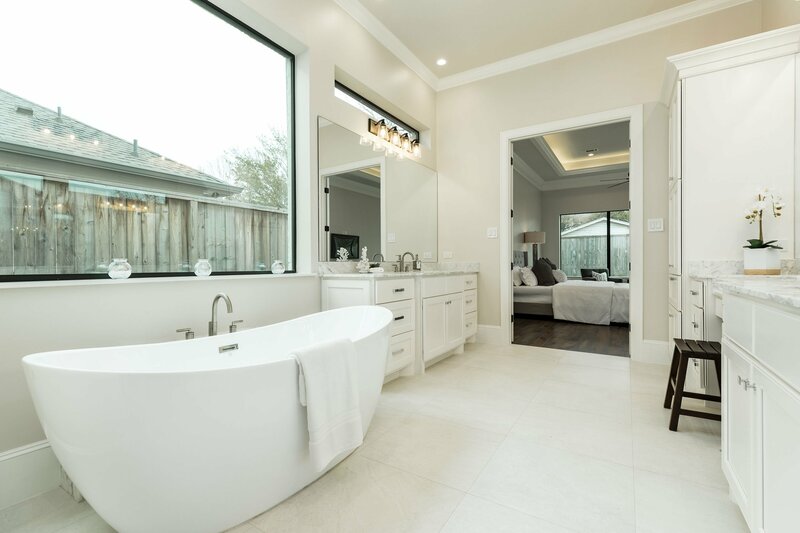 The flow, the finishes, the fixtures, everything was amazing. 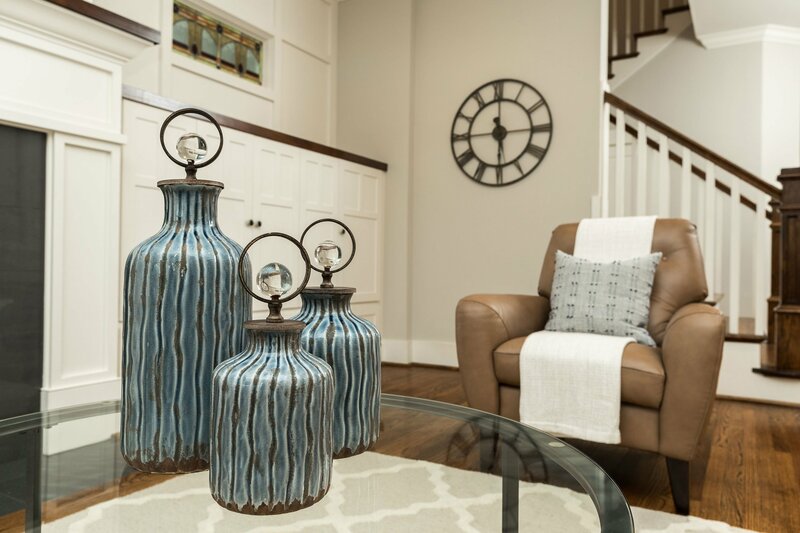 To be honest, staging this home was like putting a little make-up on a beautiful girl. 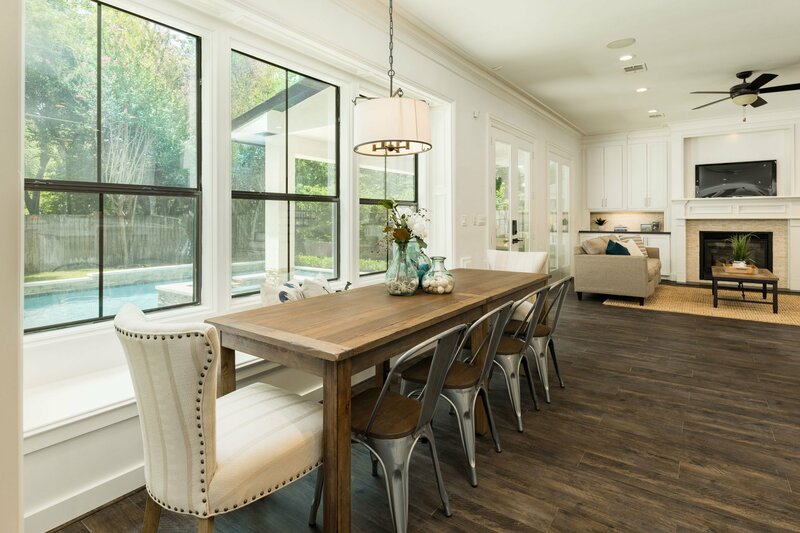 The home was already amazing, we were just able to show it off a bit more and help people envision their lives there. 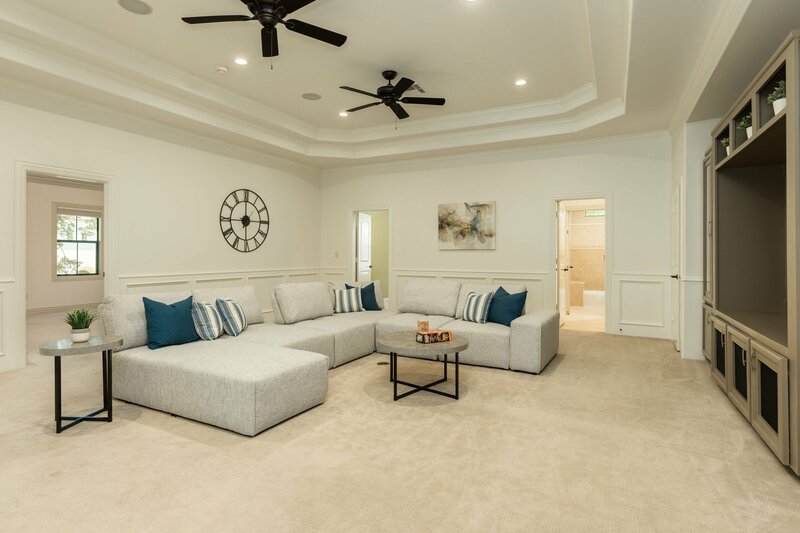 This home was so much fun to stage. 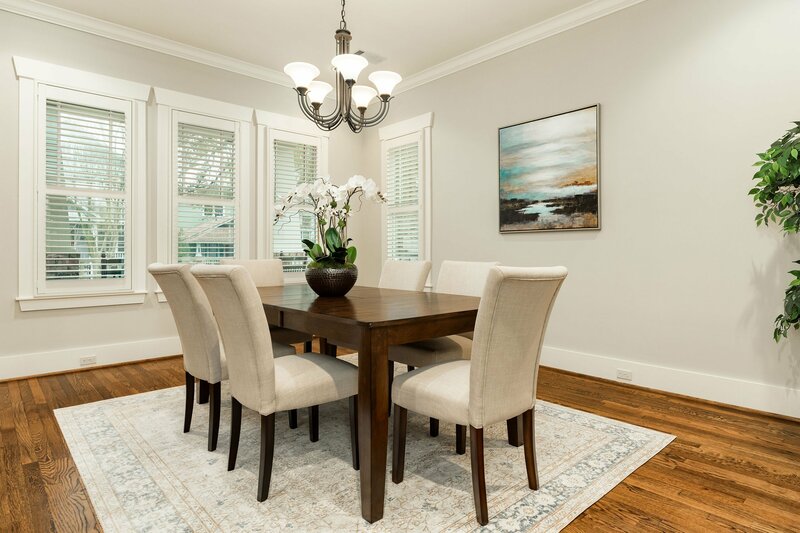 The home was on the market for several months before we staged it. 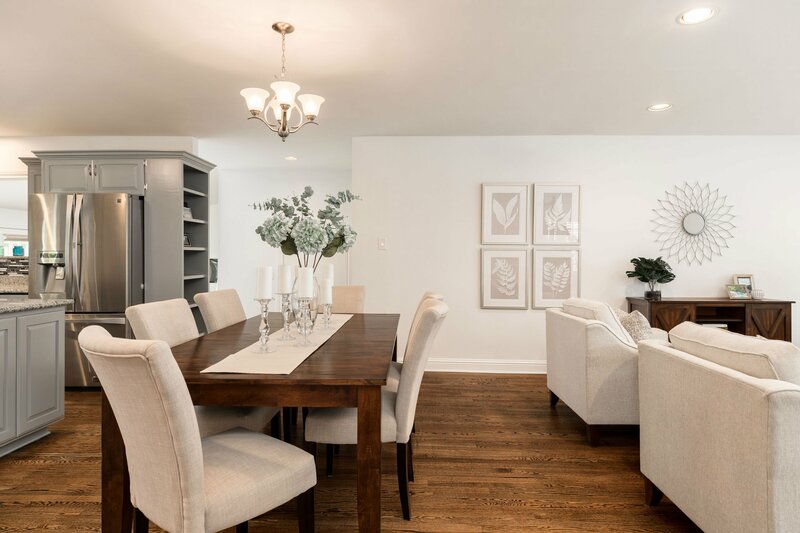 The open concept wasn’t showing well without furniture and the owner brought us in to help define the spaces and to help show buyers all the advantages the home had. 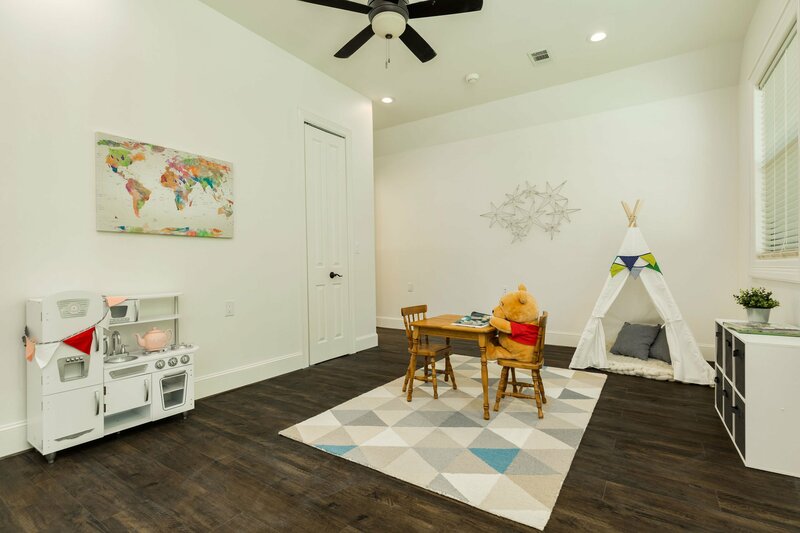 It didn’t take long for a young family to fall in love with the toy room off the kitchen and the upstairs hang-out space. 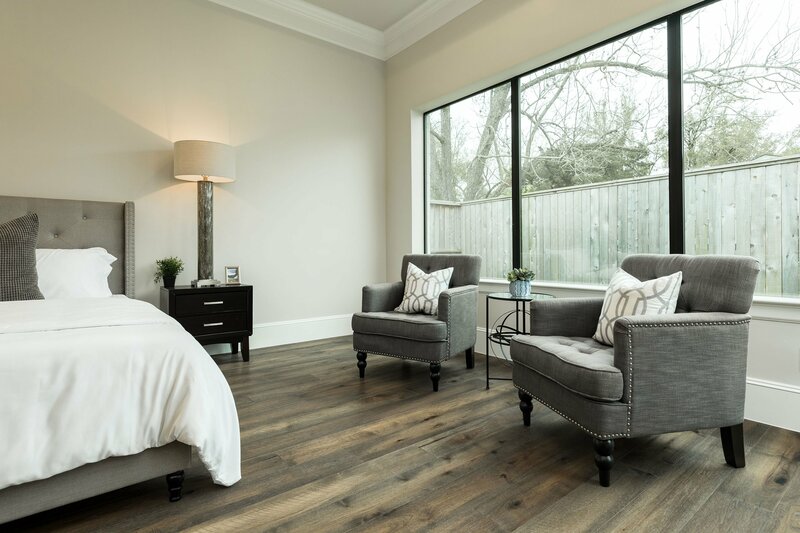 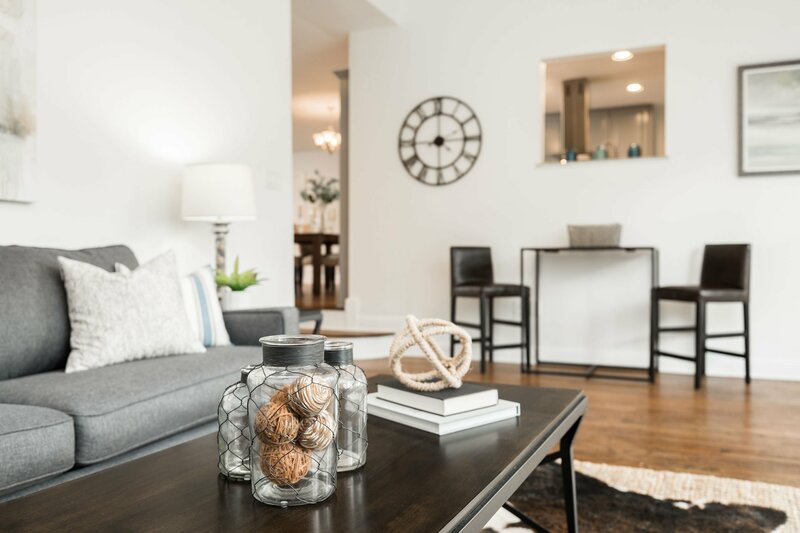 This is a great example of how staging can help buyers envision themselves living in the space.